HomeSan Francisco Silent Film Festival my review of Charlie Chaplin celebration of the Tramp film The Kid and the KIDS in the audience!!!! 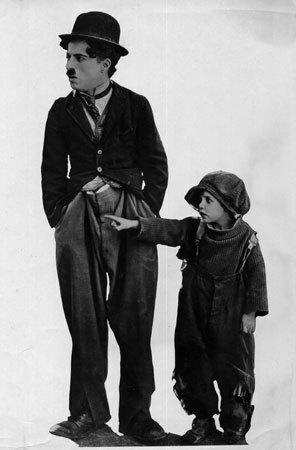 San Francisco Silent Film Festival my review of Charlie Chaplin celebration of the Tramp film The Kid and the KIDS in the audience!!!! Watching the Kid was an amazing experience. Charlie can still pack a house!!! The Kid screening was accompanied by the San Francisco Chamber Orchestra. Amazing experience!! But the experience that I remember the most was the KIDS in the audience. I can’t describe the joy of laughter from the kids!! I loved it!! In a few words, Chaplin is amazing!! After 100 years his creativity and genius can still touch a new generation!! The kids behind me made my day!! The joy of them laughing to an icon like Charlie Chaplin made me realize again that Chaplin is a true legend of the Art of Silent films and Cinema history.